R Construction jobs is the construction dedicated portal and sister site to one of the world’s leading engineering recruitment sites www.rengineeringjobs.com the network carries over 50,000 live engineering and construction jobs posted in over 200 countries and attracts over 400,000 monthly visitors. With 500,000 registered candidates and 20,000 new monthly candidate registrations the R Construction Jobs site is the premier place to attract the best construction talent. R Engineering was made available on 20 July 2016. No short description is available yet. R Engineering Jobs was made available on 17 May 2011. No short description is available yet. As part of the R Engineering Jobs network including sister sites www.rengineeringjobs.com and www.rconstructionjobs.com the network is one of the largest engineering recruitment networks in the world. Used by the largest engineering employers the network is known for providing quality engineering recruitment solutions. With over 10 years’ experience within the engineering and online recruitment industry R Oil and Gas jobs is known for producing candidates not found elsewhere. Race Staff was made available on 04 August 2016. No short description is available yet. Racestaff Featured was made available on 09 September 2016. No short description is available yet. Radiography Jobs.com was made available on 11 October 2017. No short description is available yet. Rail Job Search was made available on 18 November 2015. No short description is available yet. Rail Job Shop was made available on 18 January 2011. No short description is available yet. RailwayPeople.com Through our leading jobsite you will reach over 100,000* UK rail professionals registered on RailwayPeople.com. Our candidates encompass all rail sectors, job roles and geographical locations. We generate between 80,000 – 90,000* unique users per month, considerably more than any other rail job site. Extensive We have a unique and extensive grasp of the UK's online rail sector, including having the largest rail CV database in the UK. We run continuous marketing campaigns and publish the latest news on rail as it happens, ensuring a high profile online presence. Competitive RailwayPeople.com is the leading online rail recruitment site, reflecting how seriously we work at offering a cost effective and quality service. Professional Since our launch in 2001 we have continually responded to the ongoing needs of both candidates and recruiters, which is reflected in our growing database and long term relationships we have with our customers. Rated recruitment was made available on 08 November 2016. No short description is available yet. RCN Bulletin Jobs New was made available on 07 April 2016. No short description is available yet. RCN Bulletin Jobs Premium was made available on 13 February 2017. No short description is available yet. Re Resource Group was made available on 05 May 2017. No short description is available yet. As a premier career site within the Beyond.com Real Estate Channel, RealEstateJobSite gives you access to more relevant, qualified candidates. Our unique, targeted approach means that all jobs you post with RealEstateJobSite.com will be automatically distributed to the 13 sites in the Real Estate Channel, as well as all relevant local, specialty and national sites. You benefit from the strength and reach of The Career Network, as well as the powerful affinity relationships that members form with our niche career sites, like RealEstateJobSite. RealiseMe was made available on 23 July 2018. No short description is available yet. RealiseMe Test was made available on 10 August 2018. No short description is available yet. Rec2Rec.IE Source was made available on 11 September 2018. No short description is available yet. Reception Academy was made available on 04 December 2013. No short description is available yet. RecJobs was made available on 17 October 2014. No short description is available yet. Recruit Gulf was made available on 17 May 2011. No short description is available yet. Recruit Ireland was made available on 01 February 2010. No short description is available yet. RecruitNI pioneered the introduction of the 'jobs portal' in&nbsp;Northern Ireland. The site was established in 1999, a locally owned business which soon developed a reputation for excellent customer service, value for money and a real alternative to the traditional methods of recruitment advertising. RecruitNI carries jobs in all the major towns and cities in&nbsp;Northern Ireland, and in February 2009 the site was acquired by&nbsp;UTV Media plc. RecruitNI benefits from substantial prime time TV and radio advertising on U105. While also advertising across the 6 UTV owned radio stations in the South of Ireland, culminating in a marketing reach which is second to none. The site carries a variety of jobs from both recruitment agencies and employers in both the Public and Private Sector. Our exclusive Executive section carries jobs with salaries of &pound;50k/&euro;50k and over. We offer highly competitive pricing so please don&rsquo;t hesitate to get in touch. Recruit'em was made available on 27 June 2016. No short description is available yet. 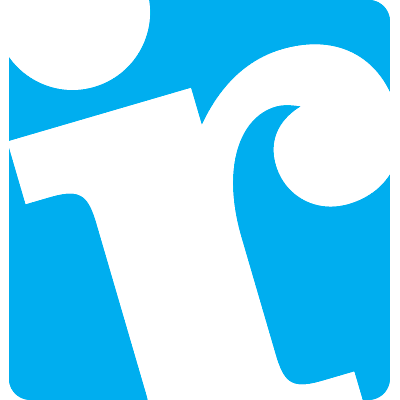 Recruiter.co.uk was made available on 14 January 2014. No short description is available yet.